Sir Paul McCartney formerly of The Beatles hand signed guitar. Framed as pictured with fantastic performance images. 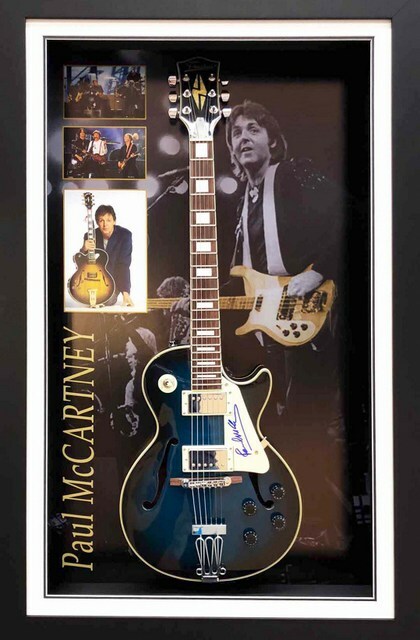 This guitar has been hand signed by Sir Paul McCartney and is available for immediate dispatch. Supplied with an Official Letter of Authenticity. Personally signed by former Beatle Paul McCartney. Accompanied with COA including 3rd party Authentication. Interest-Free Instalment Option: 4 monthly payments of $512.50. The item is shipped after the final payment is made.